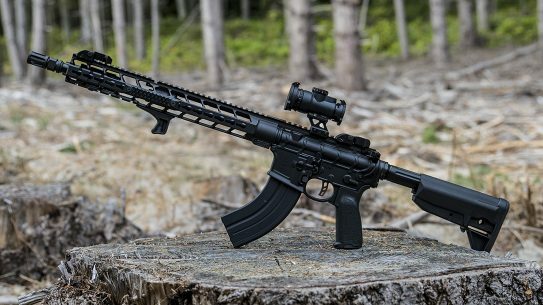 The civilian-legal LMT M203 37mm flare, smoke and rubber ball launcher installs and operates just like its 40mm USGI big brother. 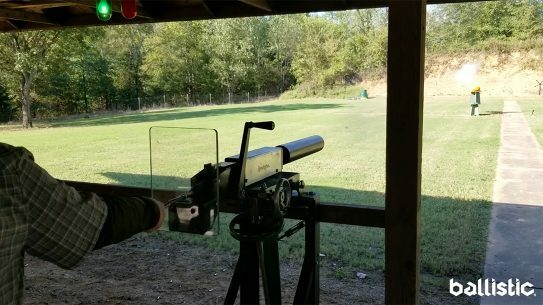 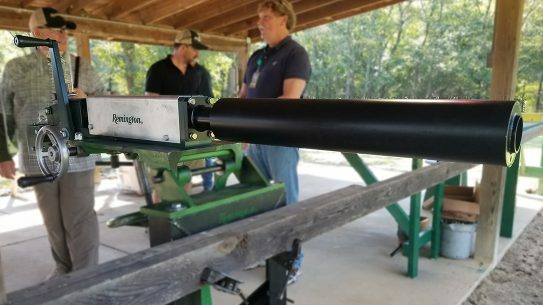 The 8-Gauge Remington Master Blaster is an industrial tool with a specific use in mind, so naturally we used it to obliterate pumpkins on the range. 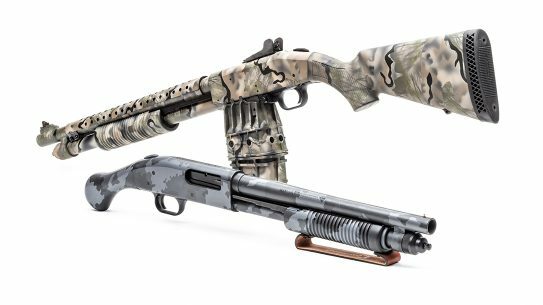 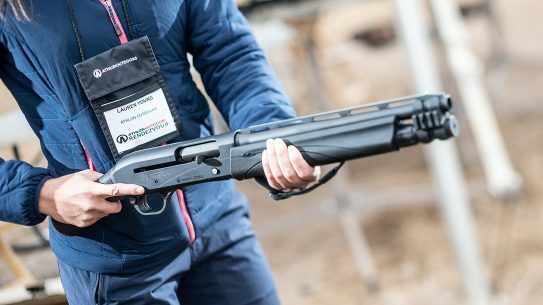 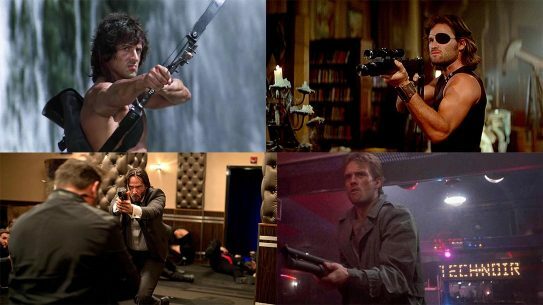 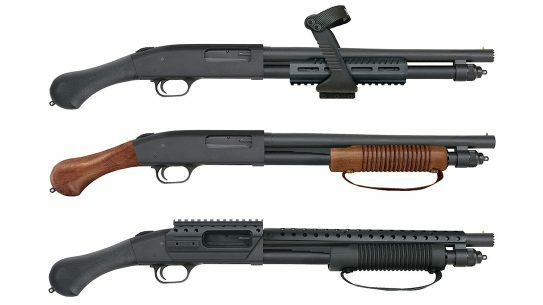 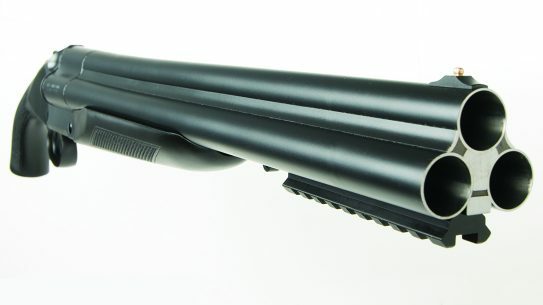 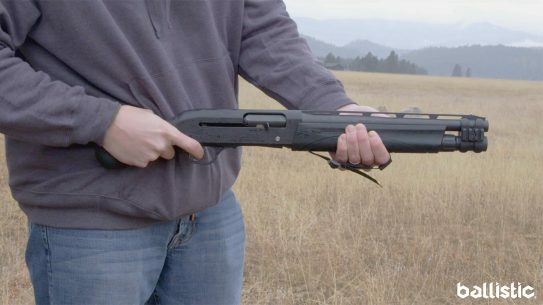 The already popular Mossberg 590 Shockwave series just added three new models that include wood finishes and even a chainsaw grip attachment. 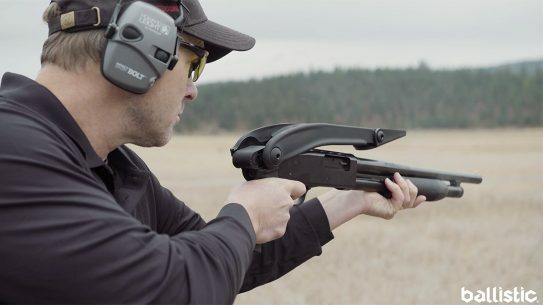 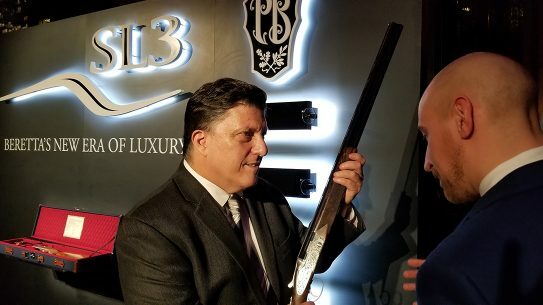 Bringing in a 'new era of luxury,' the Beretta SL3 Premium Shotgun starts at $20,000 and is worth every penny considering its performance matches its looks. 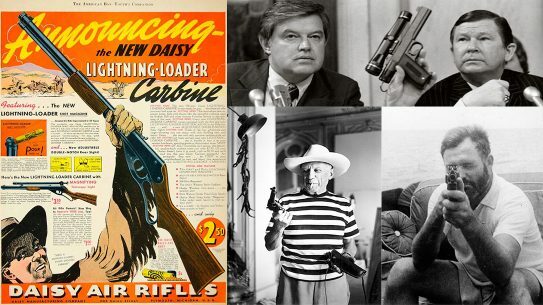 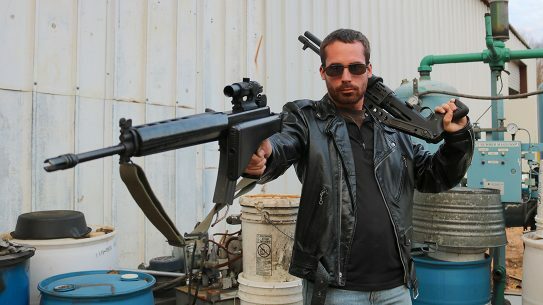 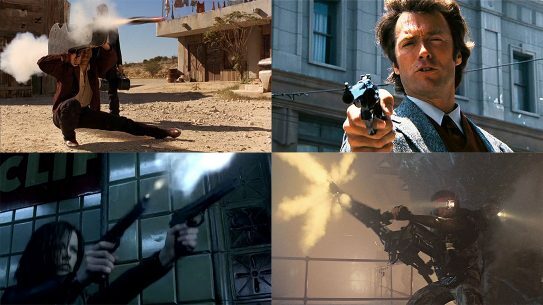 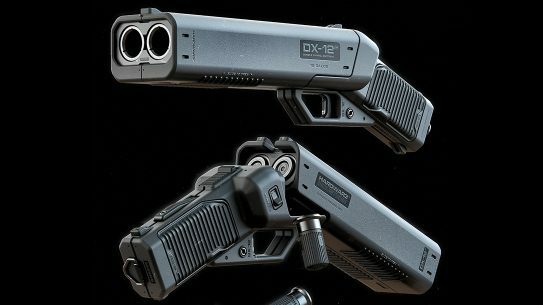 Nicknamed the 'Punisher,' the DX-12 Double Barrel Shotgun Pistol is a concept firearm from MOTH3R that we want to see become a reality. 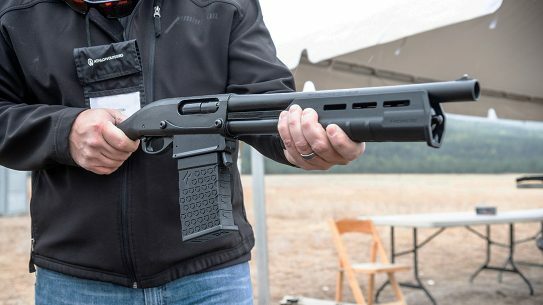 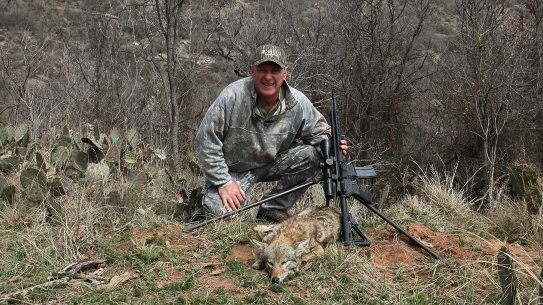 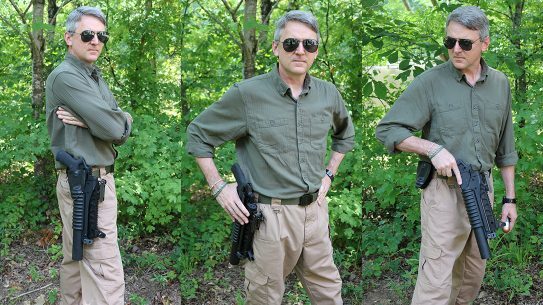 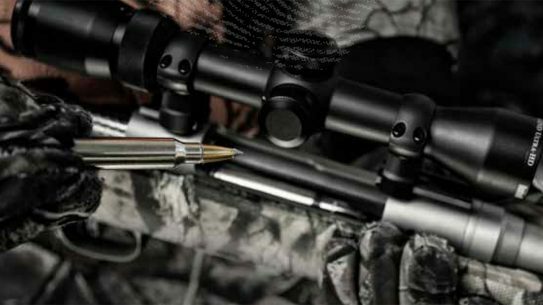 With NFA compliancy leading the way, we took the all-new semi-auto Remington V3 Tac-13 firearm out for a test drive on the range. 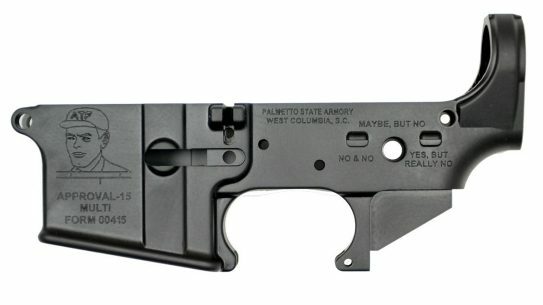 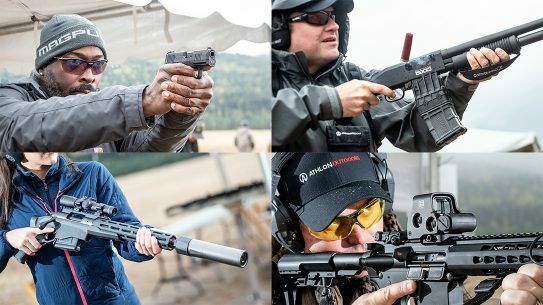 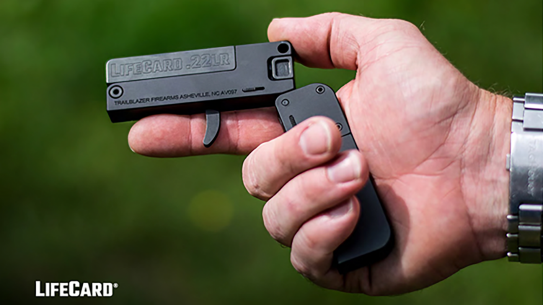 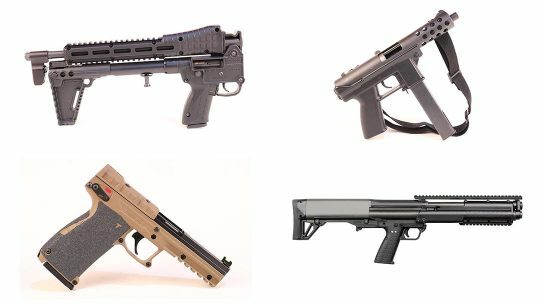 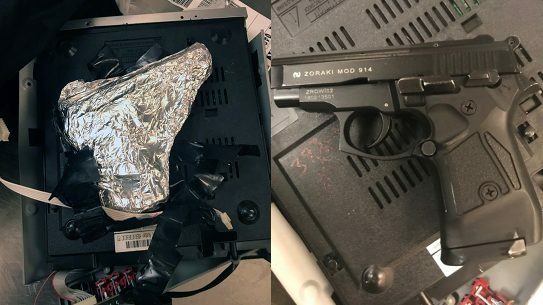 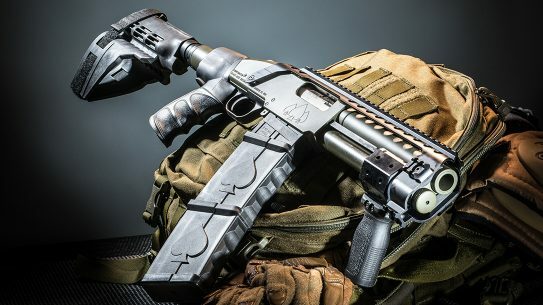 Avoiding the NFA hassle, the 12-gauge Black Aces Tactical DT and its Sig Sauer SB15 stabilizing brace make for incredible versatility in CQB situations. 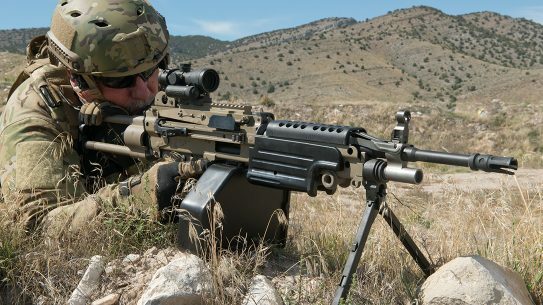 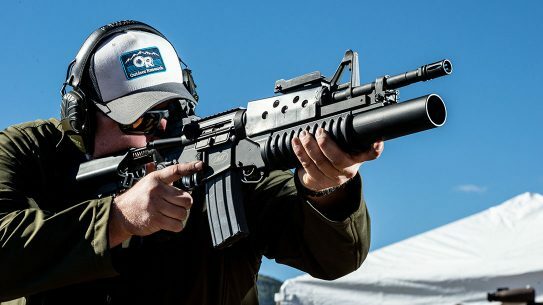 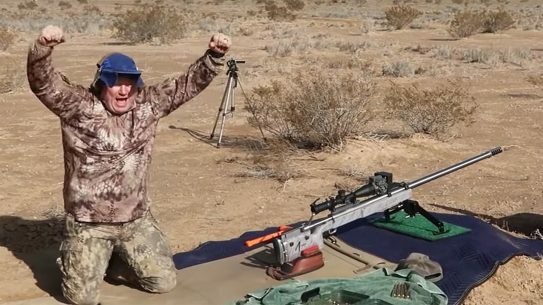 With 6.8 SPC leading the charge, we examine the full-auto Machine Gun Armory M249 and MK46 GEN-3, with the former taking care of some serious concrete removal on the range.